Similar to last month, I didn't try out too many new things recently but those that I did try were great and made this list. Quality over quantity, right? Pastel Daily Overtone Haircare, $17- I recently switched up my hair color and decided to finally try out Overtone conditioner. Overtone is a color-depositing conditioner that comes in a wide array of colors to help keep hair colors fresh and vibrant. I purchased the pastel purple and pastel pink shades and use them to keep my color vibrant but mostly to subtlety manipulate the tone of my hair from day to day. I absolutely love it and I love the herbal, super-minty scent. If you click this link you can get $10 off your purchase of $30! Color Club Nail Polish, $8.50- This is a sample size that my mom gave to me a year or two ago, but I just started using it. I'm not even sure what color it is, but it's similar to "Catch a Fire." I just love the bright neon color, one coat of polish gets the job done, and it stays on for quite a while, even without a top coat. PAIR'D Beauty Lost Girl Body Butter, $8-$13- Spring has just now arrived here and my skin is still ridiculously dry from the winter. I love this body butter because a little bit goes such a long way and it leaves my skin feeling hydrated and smooth. This body butter makes my skin feel oily but in a good, hydrating way, while most other body butters leave my skin feeling greasy. Does that make sense? 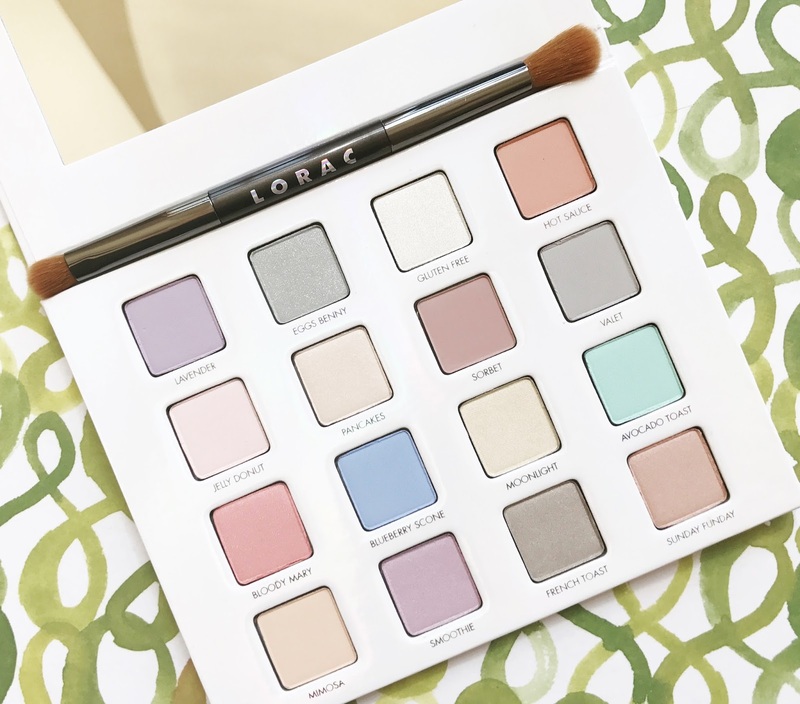 LORAC I Love Brunch PRO Palette, $44- I had major heart eyes for this palette since it was first announced, but put off purchasing it for a couple months. I've developed a problem where I think I need every single new eyeshadow palette that comes out. I told myself I wouldn't buy this palette but since I use the cash back app, Ibotta, when I grocery shop I had $40 in my PayPal account from that...and this palette is where that money went. Anyway, the colors in this palette are so beautiful and are so smooth and buttery. There are 8 matte shadows and 8 shimmer shadows. Although many of the colors are bright pastels, they can still be used to create subtle everyday looks and there are some neutrals in it. Some of the colors lack pigment but applying with a wet brush fixes that. 1 comment on "Current Favorites #3"
I love favorites posts! I haven't tried any of these but they sound wonderful and that palette is beautiful. 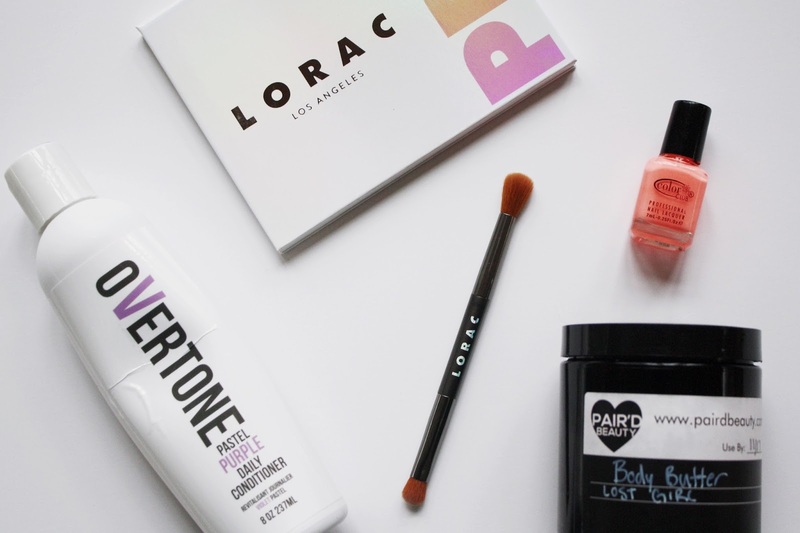 Completely get what you mean about good oily lotions. You just feel all glowy and hydrated instead of feeling like grease is sitting on top of your skin. And I agree - quality over quantity. :) Thanks for sharing these!